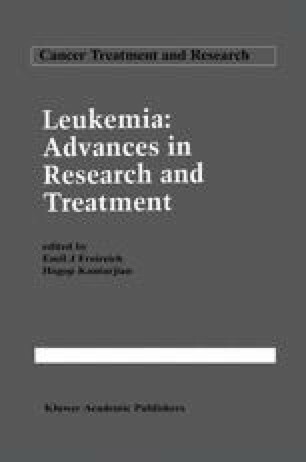 Over the past decade, a greatly increased number of patients with advanced- stage hematologic and solid tumors have been treated with high-dose therapy and autologous bone marrow transplantation (ABMT) [1–10]. There are several potential advantages in using autologous over allogeneic transplantation. ABMT can be performed on patients with no histocompatible donor and can be performed on older patients, since there is no risk of graft- versus-host disease. However, the major obstacle to the use of ABMT is that the reinfusion of occult tumor cells in the autologous marrow will result in relapse of disease.